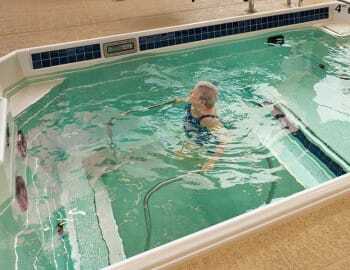 Since 1998, HydroWorx has been providing underwater treadmills and resistance therapy jets as standard features in all of our therapy and fitness pools. The undisputed choice of professionals worldwide, our pools incorporate advanced features that actively contribute to positive patient outcomes. From Healthcare and Senior Living to Sports Medicine and Military, we have a HydroWorx product designed with your specific needs in mind. This ascending, descending movable floor pool boasts an 8’ x 12’ underwater treadmill and resistance jets. The new benchmark for construction-free unweighting treadmill devices, the 300 offers HydroWorx technology in a small footprint and fits through a standard 36” doorway. The new benchmark for construction-free unweighting treadmill devices, the 350 more interior space and jet power than our standard 300 and boasts a small footprint while fitting through a standard 36” doorway. 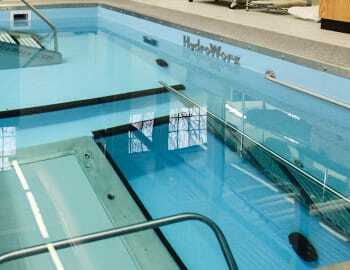 This 7’6” x 14’ world class therapy pool offers our underwater treadmill and resistance jets at an economical price. This ascending, descending movable floor pool boasts a 6’ x 9’6” underwater treadmill and resistance jets. 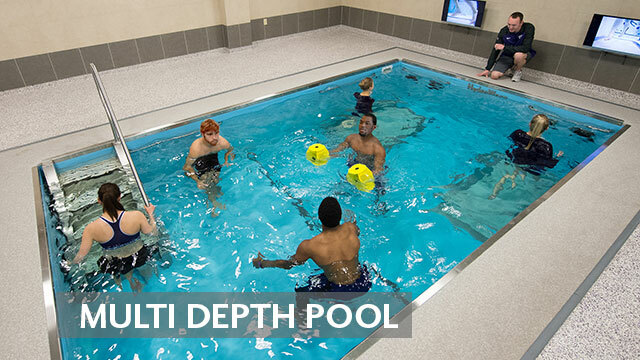 This 12’ wide by up to 20’ pool offers resistance jets, up to two underwater treadmills or a deep water well and is our largest therapy pool. This 8’2” x 14’ pool includes our underwater treadmill and resistance jets and optional deep water well. This pool is a great replacement for outdated therapy pools. Available in three sizes, our hot and cold pools are equipped with resistance jets and deep tissue massage technology and are great for enhancing recovery. We’re passionate people committed to improving the lives of patients & athletes throughout the world. Since the first product was sold in 1998, the company has evolved from a handful of founders to a diversified business of elite engineers, designers, marketers & sales people based throughout the U.S. and Europe. In addition, HydroWorx boasts a world class group of steel craftsmen and mechanical and plumbing technicians, who build, install and service our products in all 50 states and worldwide. We strive to provide our customers with the most current research findings concerning water therapy and exercise. 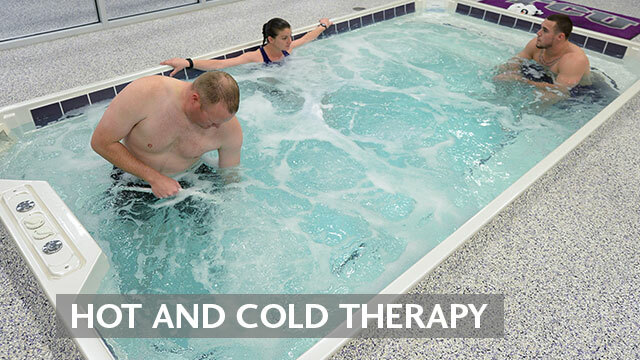 Review the latest in aquatic therapy research. 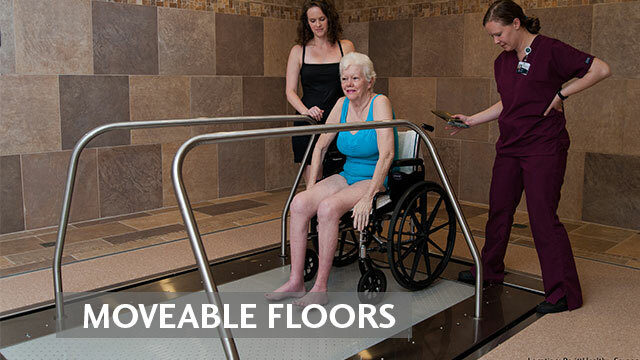 HydroWorx touches more than 23,000 lives each day throughout the world. We are proud to be leaders in product innovation, versatility and customer peace of mind. 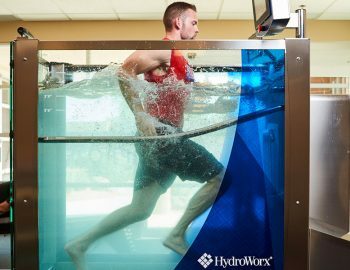 Learn why HydroWorx is trusted by the top facilities worldwide. Educating consumers on the value of water therapy and exercise is a top priority for us at HydroWorx. We continually offer multiple ways including webinars for you to learn more about aquatic therapy. View upcoming and past webinars.